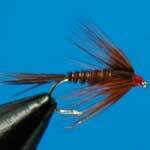 MAYFLY WTD NYMPH TROUT FISHING FLIES from Troutcatchers tied with the very best fly tying materials from Veniard, Whiting, etc. & tied by world class professionally trained fly tiers. BLOODWORM WTD NYMPH TROUT FISHING FLIES from Troutcatchers tied with the very best fly tying materials from Veniard, Whiting, etc. 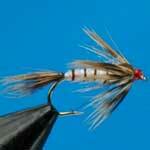 & tied by world class professionally trained fly tiers.